Durreen Shahnaz, the genius behind the Women’s Livelihood Bond (WLB), wants to help thousands of women entrepreneurs raise capital. WLB is an $8 million social sustainability bond that supports both high-impact and micro-finance institutions in southeast Asia - particularly in Cambodia, Vietnam and the Philippines. Proceeds from the bond are lent to the given to Microfinance Institutions that serve women beneficiaries and improve their access to finance, essential goods, income-generating assets and vocational training. The truth is that Durreen has already made history as the first ever Bangladeshi woman to work on Wall Street. She was also the first ever Bangladeshi woman to graduate from the Wharton Business School. But now she wants to make history providing multi-country and multi-sector financial and social returns that will impact the lives and livelihood of over 385,000 women. There are many reasons why what Durreen is planning is very realistic. First of all, she knows what she's talking about. 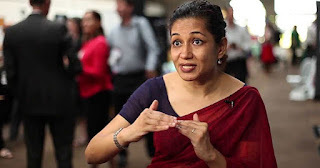 Secondly, according to Forbes, she learned finance at Morgan Stanley and then used what she learned to help underserved micro-businesses in developing countries when she worked at Grameen Bank. Thirdly, she taught Social Innovation and Entrepreneurship at the Lee Kuan Yew School of Public Policy in Singapore. But she has more than just financial know-how. She has a real dedication to social responsibility, and fully understands how to bring together public, private and philanthropic players to unlock private sector capital for social development. So far, Durreen's work has mobilized more than $13 million worth of capital for development, generating $20 million in social value, and empowering many, many lives.